This seaport utopia in the Pacific Northwest with the rough and tumble history and rich Native heritage remains a popular grad trip destination for many reasons. The modern Emerald City is a burgeoning and progressive center of cultural diversity, educational opportunity and creative venture – home to an exciting foodie culture, more than 1,100 coffee shops, dozens of eclectic neighborhoods and endless local attractions and points of interest. Picturesque parks and gardens, world-class museums and galleries and intriguing outdoor exhibits all waiting for your deserving graduates to discover and enjoy! 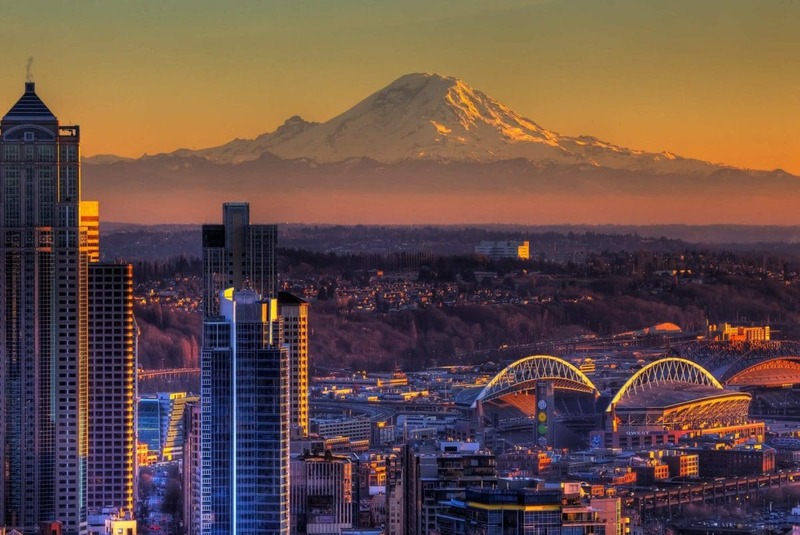 It’s a place where lifetime memories are crafted from endless rainbows of extraordinary moments, jam-packed with things to do and places to see that are so intrinsically “Seattle” you won’t find anything like them anywhere else on our big blue marble. Classic waterfront vistas lend character and even a cozy feel to the cool urban edge of dramatic skylines and plenty of public transportation ensures you’ll get where you need to go in a timely fashion - so important when you’re only in town for a few days! Shopaholics turned loose in the city will get find plenty of opportunities for excellent retail therapy, and nine-acre Pike Place Market, home of the original Starbucks, is the place to go for everything fresh, delicious and essentially enchanting under the sun. At the foot of the Space Needle, once the tallest structure west of the Mississippi, you’ll find Chihuly Garden and Glass, the perfect visual appetizer before heading to rotating Sky City at the Needle’s top for matchless views of the metro area and a tantalizing menu of Northwest-style fare. Afterward, stretch your legs on miles of shoreline, explore the natural wonders of Discovery Park or hop a ferry over to Tillicum Village and lose yourself in centuries of aboriginal history - celebrate, Seattle-style! Spend two days exploring Seattle's varied attractions.